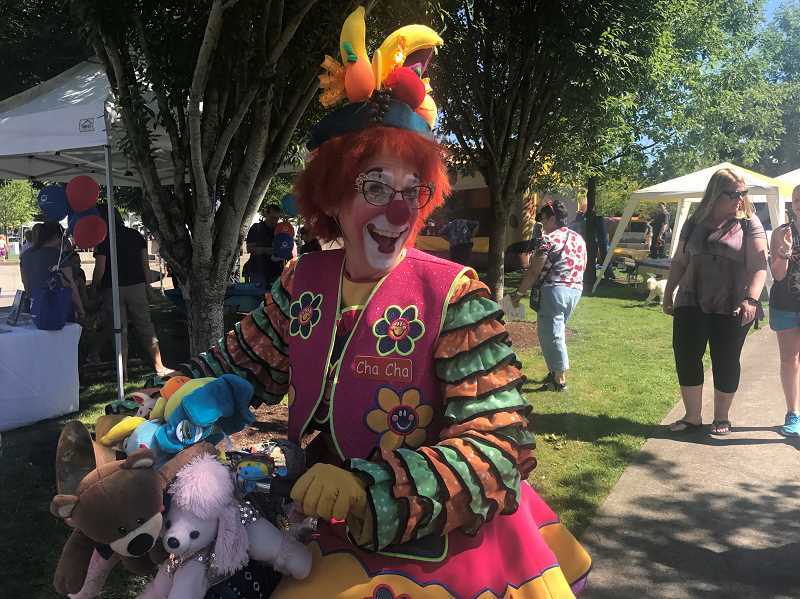 Whether looking in the mirror and seeing the resemblance of an animal after their face is painted, playing games, enjoying inflatable bounce houses or interacting with goofy clowns, the annual Fun in the Park extravaganza provides an endless supply of entertainment for kids. And this year's event is right around the corner. The 18th annual Fun in the Park will take place from 10 a.m. to 4 p.m. Saturday, Aug. 4 at Town Center Park. The event is organized by community members and is free and open to the public. "It's one day of the year where it doesn't matter who you are, where you come from. There's no demographic criteria," Fun in the Park Committee President Brady Mordhorst said. "It's a rare event where everyone can come and have fun. And it's quality entertainment. Just because it's free doesn't mean it isn't worth anything." "Inflatables are attractive and are fun so we have as many inflatables in the park as we can," Mordhorst said. Also, clowns, musicians and other demonstrators will perform throughout the day. Performers include Lee's Martial Arts Academy, Innovative Dance, the Scott Brockett Trio, Ora Nui Tahitian Dancer Troupe and an interactive workout by Edge Family Fitness. "When you walk into a park there's something for you to interact with and have fun with wherever you go," Mordhorst said. The Fun in the Park volunteers made T-shirts out of a design created by the winners of a contest for local elementary school students, Boeckman Creek Primary School students Steven Foster and Aria Avivi. About 200 T-shirts will be available at the event. "It's fun to be able to give away those shirts for free," Mordhorst said. The Fun in the Park committee can put on the event without an entrance fee due to its many sponsors, including three major ones: Finley Automotive, Polygon Homes and Fred Meyer. According to the Fun in the Park website, sponsors have contributed over $600,000 to keep the event free over the last 18 years. Fun in the Park organizers are seeking volunteers for this year's event and committee members to plan next year's extravaganza. More for information, visit the Fun in the Park website at www.funinthepark.com/. "The more volunteers we have the more fun that we have in the park," Mordhorst said.